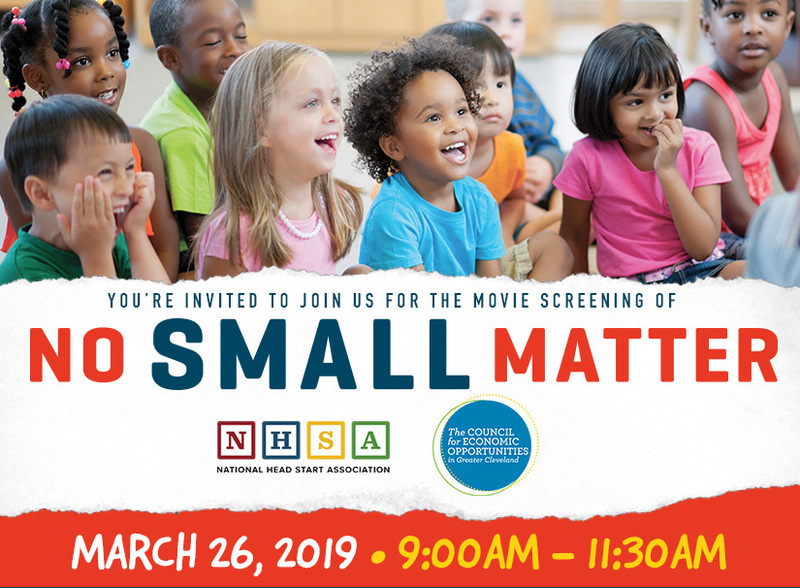 The “No Small Matter” film is making waves across the nation for its in-depth look into the minds of young children and the importance of early childhood education. The film is currently being shown in various cities across the nation and on March 26, it will finally premiere in Cleveland as the Council for Economic Opportunities in Greater Cleveland helps facilitate the showing. The documentary-style film showcases how the country is raising children and the stunning truths of early intelligence and its effects on the trajectory of a child. The goal of the film is to spark public conversation no the topics of early education and childcare. CEOGC’s Head Start program is committed to educating young children to ensure the growth and stimulation of their young minds; now it’s time to educate the public. The film will begin promptly at 9:00 a.m. and is FREE & open to the community at the CMSD Professional Development Center, 1349 E. 79th St., Cleveland, OH. If you would like to attend the event please RSVP to Wallen@ceogc.org. At the end of the premiere, there will be a Q&A session with Director/Producer, Greg Jacobs. For more info on our high-quality Head Start programs click here!